With 2014�s Starry Eyes, we look at the pursuit for Hollywood fame with a horror twist. Sarah Walker (Alexandra Essoe) muddles her way through audition after audition as she attempts to become a film star. These leave her with nothing but rejection and a demeaning job at a tacky restaurant called �Big Taters�. Sarah learns of a project called The Silver Scream and auditions for it. This doesn�t go well and Sarah throws a post-audition tantrum in a restroom. To her surprise, this impresses the producers and her knack for self-abuse lands her the part. This leads her down a strange, unexpected path that takes Sarah to a dark place. Though technically part of the horror genre, Starry Eyes aspires to also offer a dark satire. It takes on the issues connected to Hollywood and gives them a spin that views the desire for fame in a sinister light. It doesn�t work, mainly because no aspect of Starry satisfies. The satirical elements feel toothless and forced. Sarah needs to make so many idiotic assumptions and leaps that her path seems ridiculous. We don�t accept her choices so that aspect of the film flops. None of the horror components fare any better. These wait largely until the end of the film, and they come across as too little, too late. We find no scares or tension as the tale ambles along without much purpose. That really becomes the most substantial issue with Starry: it�s more a theme than a story. Too much of the flick feels disjointed and pointless, like a rough sketch stretched into a feature film. Nothing becomes especially coherent and the end product drags as it goes toward a limp ending. All of this leaves Starry Eyes as a failed experiment. Whatever goals it attempts, it doesn�t achieve. Instead, it turns into a slow, tedious tale that never seems to know where it wants to go. Starry Eyes appears in an aspect ratio of approximately 2.40:1 on this Blu-ray Disc. The movie came with a decent but not great transfer. Overall definition seemed positive. As expected, wider shots came across as a bit soft and tentative, but most of the movie showed nice delineation. I witnessed no issued with shimmering or jagged edges, and edge haloes remained minor. Print flaws were absent. Like virtually all modern horror movies, Starry opted for a stylized palette. It tended toward a low-key, semi-desaturated vibe that could be somewhat sickly. That fit the material; the colors weren�t impressive, but they were decent for the movie. Blacks seemed acceptably dark, while shadows could be a bit thick but were acceptable. Nothing here impressed but the image was adequate. Similar thoughts greeted the film�s DTS-HD MA 5.1 soundtrack. It went for a fairly atmospheric air, as the mix gave us logical accompaniment for the creepy visuals. This meant music popped up around the room and became somewhat dominant while effects remained mostly in the environmental realm. Scenes in public � like at restaurants or parties � added a little involvement but the track usually focused on ambience. Audio quality was good. Dialogue could feel a little canned, but the lines were easily intelligible most of the time. Music showed nice range and impact, while the effects were reasonably accurate. This became an acceptable mix for an atmospheric horror movie. 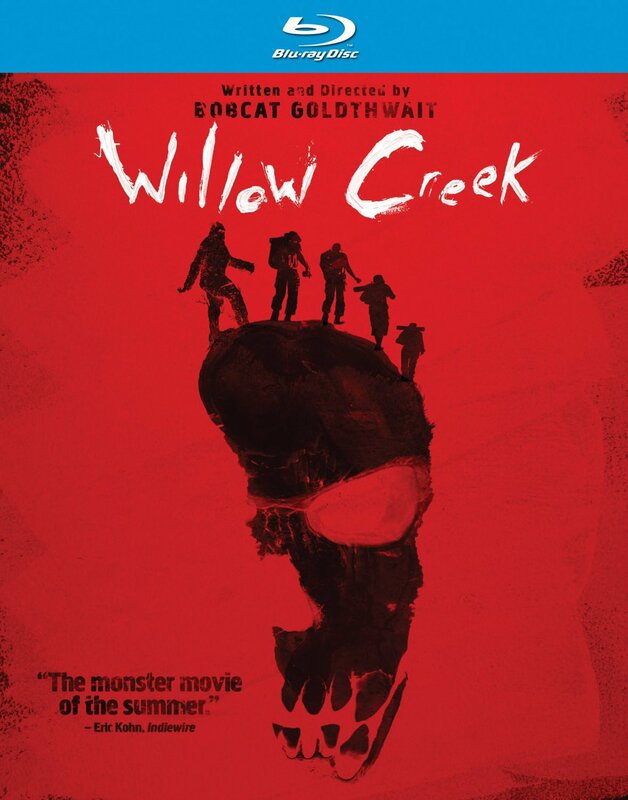 On the disc, we find a mix of extras, and these launch with an audio commentary from writers/directors Kevin Kolsch and Dennis Widmyer and producer Travis Stevens. All three sit together for a running, screen-specific look at the project�s origins, story/character domains, cast and performances, various effects, music, sets, location and production design, and connected domains. For the most part, this becomes a good commentary. It meanders a little at times, but much of the track stays on task. This means we get an interesting enough overview of the project. 10 Deleted Scenes occupy a total of 11 minutes, 37 seconds. In these, we get minor character bits and more atmospheric material. The final film already seems slow and tedious; these forgettable bits wouldn�t have changed that. Next comes a Music Video for Jonathan Snipes� score. This takes some cues and shows the composer as he creates music. It�s not really a music video, but it�s also not much of a look behind the scenes. That leaves it as a fairly pointless addition. We also see an Audition Video. In this 13-minute, 52-second reel, we see try-out segments from actor Alex Essoe. I like this kind of feature and think the �Audition� becomes a good extra. During a Behind the Scenes Photo Gallery, we see a nine-minute, 49-second running montage. It shows shots from the set, publicity images and other pictures. Nothing great shows up, but it brings us a decent collection of images. The disc opens with ads for Summer of Blood, LFO and Late Stages. 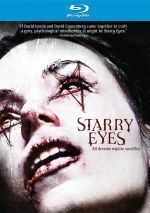 We also get a trailer for Starry Eyes.